Gone on my second bro0ken seal in sash in one month. 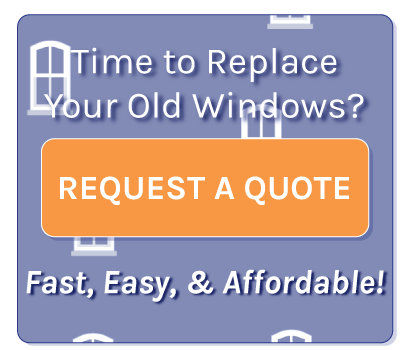 Window world refuse to warranty my windows due to issues they had with the previous owner. Unknown to me at the time I purchased the house only to find out when I had a warranty issue with a broken seal in a sash. I did some checking on what happen between the previous owner and Window world at the time of the original installment. Turns out that Window World took six months longer to finally get two of the six windows installed. Reason was because the dimensions were wrong 4 different times and the previous owner was forced to live with plywood in two of the windows for six months until the window world finally got the dimensions right. Now I am stuck with window world windows with m old in the sashes from broken seals and window world will NOT warranty the windows. Please, go somewhere else and get your windows. These people in the Metairie, LA office have been extremely rude and the corporate people have been no better. Window World installed new double-hung windows in my house last summer. I absolutely love the windows. They look good, are easy to clean, and easy to operate. And as an added bonus, my heating and cooling bills are amazingly much less than before the windows were installed. Thank you, Window World. The installer was very efficient and did a great job. After receiving my promised rebates, the price was very affordable. Double hung gets condensation on glass where the two meet. Was told this is normal but that means cold air is coming in even with the window locked to try to seal it better. So far nothing resolved. The windows were not closed at top, had to come back and cauk windows. I screen was bent and had to be replaced. They scheduled a date and time to install. Instead of installing it , they left it on front porch. After I called twice they scheduled another apt, but didn't show or call. I am pretty sure that every company can have a problem with customer service, quality control, etc. We bought Window World windows (11) in 2009, and just finished the last (2) and a sliding glass back door, this year. I am extremely satisfied with both customer service and quality of this product. We had a seal in one of the windows fail, I call customer service gave them the serial number for the window, and was advised that in about 4 weeks my window would be replaced. Window World called set up time to come bye and replaced defective window, NO charge!!!! I am completely sold on this product, my house is quite, windows are easy to clean. New sliding door is exceptional...thanks Window World!!!! The price was $500. However, the rep that sold the window never told us that it would not match the other 5 windows in room. Never told us that it would sit inside sill. Never told us that my custom blind would have be hung outside. What a mess! Owner was surly and verbally abusive in addressing our problem. Buyer beware of Window World of Lincoln. Windows sweat called cause I have to wipe down the windows in cold weather was told that it is like your car outside and it gets condensation neighbors windows elsewhere don't get this? DON'T USE THIS COMPANY. They may stand on their windows but they don't stand behind them!